The Community Foundation is only as successful as the agencies it funds. We rely on your honest and open feedback on how grants have been used. Grant Reports are the primary way that the Community Foundation learns about your project and receives feedback, which will allow us to improve the grant process. These reports are an opportunity for your organization to honestly share the successes and challenges of your project. Our goal is for these reports to play an increasingly larger role in funding decisions for future years. If your organization fails to provide a grant report the organization will be considered ineligible to receive future funding until all grant reporting is in good status.  Please provide the Community Foundation a report that adequately reflects the time and energy that has been invested in the project on behalf of your organization and the Community Foundation. Where do I fill out my grant report? Click here to view our grant report access instructions. The documents below are several examples of strong grant reports. Stories are one of the most powerful tools you have to convey how a project came together. Share a story that paints the picture of this project. This may be done by telling the story of a specific individual who embodies the program and why the program was established; or the story may be the reality that repairs were needed to provide a resource to the community. Your story may lie somewhere in between those two examples. We recognize that sometimes grant projects do not play out perfectly, and that is okay. Sharing the realities of your project will help, and hearing how you overcame challenges or were unable to overcome those challenges is great feedback. There are a lot of ways to include numbers in your report, and numbers can help others understand the impact your project had on the individuals and communities involved. If you didn't learn anything, good or bad, from this project maybe it is time to push the envelope and look at radical change versus incremental change. If your project was a great success, that is fantastic. But if it wasn't, be honest and consider sharing how your organization will overcome similar challenges in the future. Communicate any specific changes you think will benefit a similar program in the future. Refer back to your application. You were likely asked about community need -- how did your project fulfill that need? If your project did not end up meeting that need, what could be done differently in the future to make sure that need is met? Did you receive only partial funding? How did that impact your project? This is the kind of information that will be valuable for the Community Foundation to hear. Your reports are a great opportunity to communicate challenge, lessons, and breakthroughs, take advantage of this opportunity to share your story. If possible, include some pictures with your report. If you are unable to include pictures due to the nature of your organization and the nature of the project, that is understandable. Pictures are great to share with the governing committee and the Community Foundation of Northeast Iowa. With the online report system you can upload pictures with your report, which makes including pictures as easy as a couple clicks of the mouse. Make sure your pictures are quality pictures. Ask yourself: “Would I publish this picture on behalf of my organization?” If not, consider including a different picture. If you have any questions about filling out your online report form please contact the administrative office at 319-287-9106.